Want to learn practical approaches to apply artificial intelligence (AI) and machine learning (ML) to your anti-money laundering (AML) program? 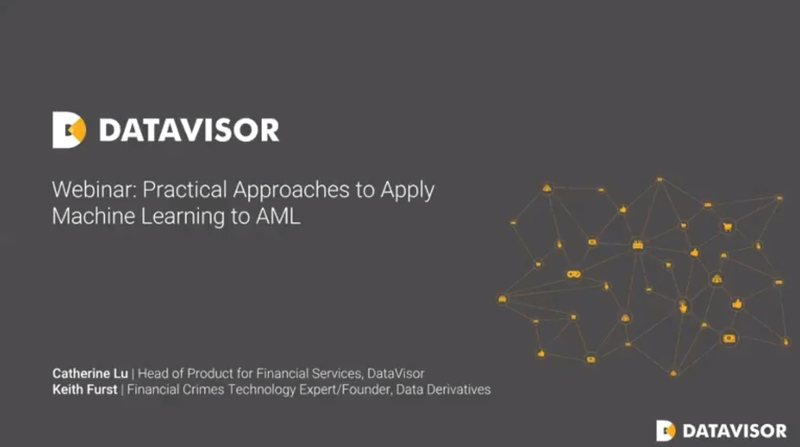 In this webinar recording, Catherine Lu from DataVisor and Keith Furst from Data Derivatives delved into real applications of how AI and ML help AML programs. They also demystified why traditional transaction monitoring system (TMS) are struggling to keep up, and the real strengths and limitations of AI and ML.